Tobacco harm reduction news for April 1, 2019. Anti tobacco harm reduction laws in California, Michigan, Iowa, Ohio, Colorado, New York and Hawaii. Harm Reduction is no April Fool’s, children pay the price for adult panic. THE MORE YOU KNOW: Almost 50% cancer patients can’t or won’t quit #smoking with NRT, while most who do quit end up relapsing. If #vaping & #smokefree reduced harm products are regulated/taxed out of existence, the only other option to quitting is dying. NOT AN APRIL FOOL’S JOKE: 45 million Americans still smoke. Millions are quitting with e-cigarettes. So the government wants higher taxes and more restrictions on…e-cigarettes? SAN ANSELMO, CALIFORNIA: (UPDATE) City bans flavored #vaping and #smokefree products because of fake “youth epidemic,” thereby making products far less appealing to higher risk adult smokers and vapers in the process. THE MORE YOU KNOW: Examples of harm reduction that don’t make things 100% safe incl. seat belts, bike helmets, clean needle exchanges, condoms, vaccines, chemotherapy, pasteurization, speed limits, parachutes, child-resistant caps…but safer “tobacco” products must be 100% safe? MICHIGAN: (HEADS UP!) Lawmakers want to increase cost of #vaping products by 81%. This would make a $25 item $45.25, removing the cost-savings incentive for high risk ADULT #smokers to make the switch & many will choose to keep smoking cheaper cigarettes! IOWA: (HEADS UP!) Iowa lawmaker wants to deny early ADULT #smokers, #vapers access to safer #vaping, #smokefree products & will likely use that to “justify” more onerous laws later. Should Iowa raise legal age to buy tobacco, vaping products? IN THE NEWS: (AUSTRALIA) More evidence of the effectiveness of NRT. /sarcasm Smoking ban worked so well they have to ban the smoking treatment. Anti-tobacco zealots need to face the truth that bans don’t work. Where there’s a will, they’ll find a way. UPPER ARLINGTON, OHIO: (HEADS UP!) City discussing banning #vaping and products OUTDOORS in parks tonight at 7:30 PM. Expected to vote as soon as April 8. 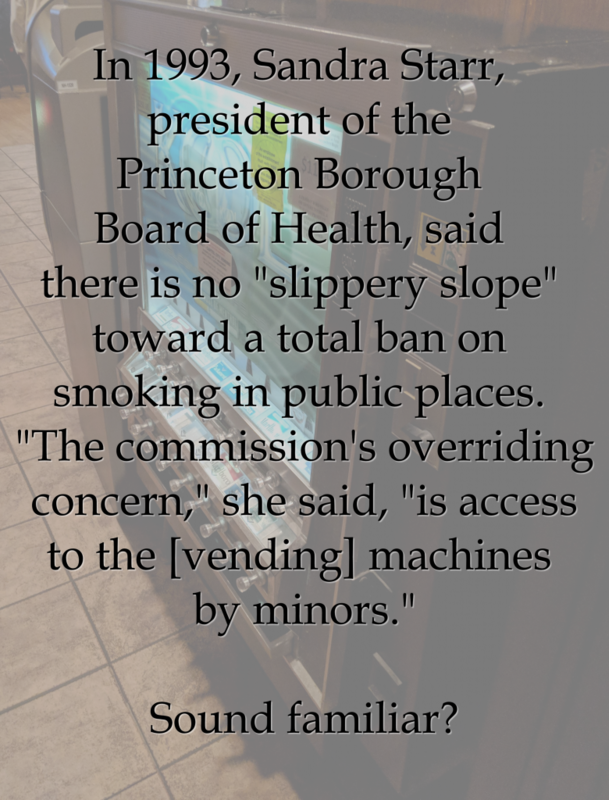 IN THE NEWS: Schools giving long suspensions, “blacklisting” young students from enrollment based on #vaping product possession. Yet another tragic consequence of exaggerating the risks and punishing minors with the expectation they reason like adults. DENVER, COLORADO: (UPDATE) Meeting WEDNESDAY to discuss denying early ADULT #smokers, #vapers access to safer products & will likely use that to “justify” more onerous laws later. HAWAII: (HEADS UP!) With “sure thing” Tobacco 21 law FAILING to make any significant impact, lawmakers move to “sure thing” ban of flavored #vaping, #smokefree products, despite the fact that research shows they’re important for ADULT ex-smoking #vapers. Tobacco harm reduction news for March 29, 2019. Updated Call to Action in Florida. Anti tobacco harm reduction laws in Cuyahoga Falls, Ohio, Denver, Colorado and Indiana. 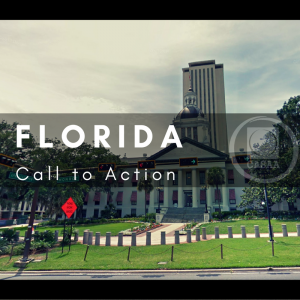 FLORIDA: (CALL TO ACTON UPDATE!) SB 1618, a bill that would deny early ADULT #smokers, #vapers access to safer products AND require a signature on delivery for vapor products, is scheduled for its second committee meeting on April 2 @ 10:00 AM. ACT NOW! CUYAHOGA FALLS, OHIO: (UPDATE & HEADS UP!) City opts NOT to deny ADULT #smokers, #vapers access to safer products, but SUMMIT COUNTY is still pushing the measure and a vote could happen in early April. DENVER, COLORADO: (HEADS UP!) Cityseeks to deny early ADULT #smokers, #vapers access to safer #vaping, #smokefree products & will likely use that to “justify” more onerous laws later. INDIANA: (HEADS UP!) Looking for easy revenue from #vaping consumers, Senate considers taxes ranging from 4¢/ml to 24% on retail cost to “create parity with #cigarettes.” Imagine if they tried to similarly tax alternatives like #nicotine gums/patches…. Tobacco harm reduction news for March 28, 2019. Calls to Action in Washington, New Hamphire, California and Los Angeles, California. Anti tobacco harm reduction laws in Olsted County, Minnesota and San Carlos, California. New research finds vaping could be effective way to help teens and young adults quit smoking. 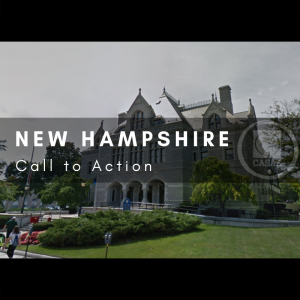 NEW HAMPSHIRE: (CALL TO ACTION UPDATE!) HB 511, which would ban #vaping like smoking & deceive the public into believing vaping is a risk to bystanders, has passed the House and is moving to a committee hearing in the Senate on April 2 @ 1:00 PM. THE MORE YOU KNOW: Researchers find #vaping could be effective way to help teens and young adults quit smoking. Interviews found 74% had gone from smoking to vaping. Subjects also expressed concern T21 laws will deny access to the much safer products. California could crack down on vaping. But could it help teens quit smoking? SAN CARLOS, CALIFORNIA: (HEADS UP!) City looking to BAN #vaping in multi-unit homes and common areas, and BAN the sale of flavored #vaping and #smokefree products. CALIFORNIA: (HEADS UP!) SB 38, a bill to ban the sale of flavored #vaping & #smokefree products statewide, was approved in the Senate Health committee yesterday. It will be heard next in the Senate Appropriations Committee! LOS ANGELES, CALIFORNIA: (UPDATE) Watch yesterday’s LA Health, Education, and Neighborhood Committee meeting, discussing youth access to flavored #vaping and #smokefree products, then send a message! Call to Action: CA – Los Angeles – Stop a Flavor Ban! Tobacco harm reduction news for March 27, 2019. Call to Action for Nevada. Anti harm reduction actions in Minnesota and Missouri. NEVADA: (CALL TO ACTION!) SB 263, which would impose a 30% wholesale tax on vapor products, is scheduled for a public hearing TOMORROW on March 28 @ 1:30 PM with the Senate Committee on Revenue and Economic Development. Attend or send a message. ACT NOW! Tobacco harm reduction news for March 26, 2019. 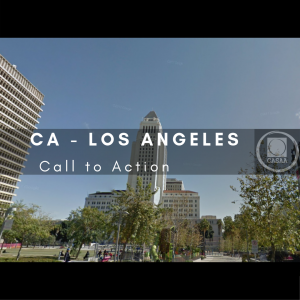 Call to Action for Los Angeles, CA. Anti harm reduction actions in Nebraska, Ohio, Minnesota and Utah. Tennessee Tobacco/Vapor 21 law stalls in Senate. 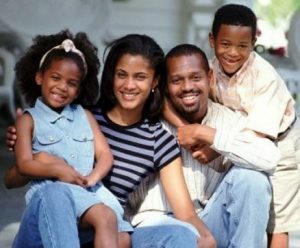 LOS ANGELES, CALIFORNIA: (CALL TO ACTION!) TOMORROW! Proposed ordinance not yet available, but committee is considering actions taken by others in CA (including total ban on sale of flavored vapor products) in order to draft a new city law. ACT NOW! NEBRASKA: (HEADS UP!) As if denying early ADULT #smokers & #vapers access to much safer alternative #vaping products isn’t bad enough, LB149 still allows them to purchase combustible cigarettes & bans indoor use, implying vaping is the same as smoking. Tobacco harm reduction news for March 22, 2019. Call to Action for Washington. 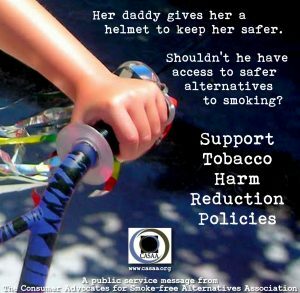 Anti harm reduction actions in Connecticut, Isanti County, MN, Burlington, NC, Larkspur, CA, South Carolina, Tallmadge, OH and Dickinson County, IA. Nicotine treatment for ulcerative colitis. WASHINGTON: (CALL TO ACTION!) TODAY at 2:30 PM (PT), committee hearing on SB 5986, that would impose 5c/mL tax on e-liquid (regardless of nicotine content) and 40c/oz tax on heat-not-burn (HnB) products. ACT NOW! ISANTI COUNTY, MINNESOTA: (UPDATE) County becomes 4th county/27th community in state to deny early ADULT #smokers & #vapers access to the much safer alternative #vaping & #smokefree products that could actually eliminate #smoking. IN THE NEWS: (BURLINGTON, NC) Without any evidence of risk to bystanders, city OUTDOOR #tobacco ban includes #vaping and #smokefree use in and around all major city parks, neighborhood facilities, lakes, marinas and its golf course. LARKSPUR, CALIFORNIA: (HEADS UP!) City had first reading (see video) to ban flavored #vaping and #smokefree tobacco products last Wed. Watch for this on the agenda (posted at City Hall) and plan to attend possibly April 3rd or April 17th meeting! SOUTH CAROLINA: (HEADS UP!) S492, a bill that would STOP municipalities from unfairly regulating #vaping products, has passed the Senate’s Medical Affairs Committee. Contact your Senators! DICKINSON COUNTY, IOWA: (HEADS UP) Anti nicotine & tobacco zealots (ANTZ) tell outrageous lies (#vaping causes cancer “like radon;” uses veg. oil as “combustible base;” half the carcinogens as cigs) to get city to ban #vaping and #smokefree use OUTSIDE. THE MORE YOU KNOW: Research suggests nicotine can keep ulcerative colitis in the remitting stage – finding smoking can reduce impact of some symptoms – but risks outweigh benefits. If only there was a 95% safer way to get nicotine without the smoke…. Tobacco harm reduction news for March 22, 2019. Calls to Action for Colorado, Florida and California. FLORIDA: (CALL TO ACTION!) MARCH 25th HEARING. SB1618 would deny early ADULT #smokers & #vapers access to the much safer alternative #vaping & #smokefree products that could actually eliminate #smoking & require delivery signature. ACT NOW! 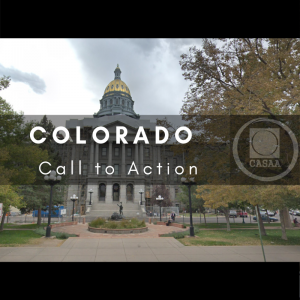 COLORADO: (CALL TO ACTION!) HB19-1033 would authorize municipal/county govts. to include #vaping in their own versions of extra taxes on #vapor products, licensing for retailers & criminalizing possession by minors. Tell Governor Polis to VETO HB19-1033! 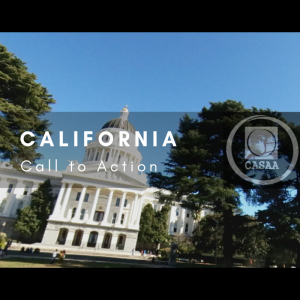 CALIFORNIA: (CALL TO ACTION!) SB 38, which would BAN the sale of FLAVORED #vapor and #smokefree products is scheduled for a public hearing on March 27th! IF your rep is on the Committee on Health you can TAKE ACTION NOW! Tobacco harm reduction news for March 21, 2019. Anti tobacco harm reduction laws in California, Wisconsin and Oklahoma. WISCONSIN: (UPDATE/HEADS UP!) APPLETON passes indoor vaping ban that excludes vape shops (but not bars…to send a message youth?? ), while GRAND CHUTE quietly passes complete indoor ban. The VILLAGE OF KIMBERLY is discussing a ban on APRIL 1 or APRIL 8. PISMO BEACH, CALIFORNIA: (UPDATE) City bans smoking and #vaping in OUTDOOR publicly-accessed city areas, incl outdoor restaurant patios & within 50 ft of patios, outdoor work sites, 25 ft from doors, windows or air vents and all outdoor public events. OKLAHOMA: (UPDATE & HEADS UP!) Proving #vaping advocates can never rest easy, another bill rears its ugly head. HB1389, prohibiting business owners from allowing #vaping on their property, quickly & quietly passed the House yesterday & heads to Senate.